Devan Hafle of Better Homes and Gardens Big Hill Realty, Associate Broker and owner of Preble County Homes Inc. Devan was born and raised in Preble County. He Graduated from Eaton High School, and attended Sinclair Community College in Dayton Ohio where he obtained two degrees in Real Estate and Property Management. 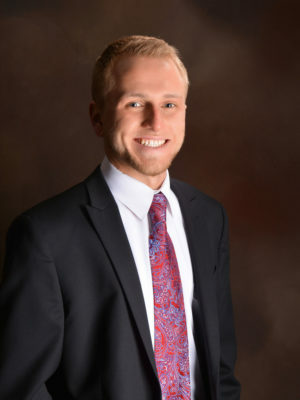 Devan completed the Ohio division of Real Estates’s education and experience requirements and received his Ohio Real Estate Broker’s license in the Spring of 2015. Devan’s pride in our community shines through in everything that he does. Specializing in all areas of residential, farm and commercial real estate including but not limited to first time home buyers, investors, relocation and lake properties. His readiness and willingness to go above and beyond in the purchase of your next or first home is unsurpassed. Devan has dedicated himself to exceeding his own expectations, as well as, those of the people who put their trust in him. He wants his clients to know he understands how significant buying or selling a home is to families. Devan knows just how important the decision to purchase or sell can be. Whether you are buying your first home, moving up to a larger residence or selling your existing property, Devan will treat your investment as if it were his own and provide you with the competitive edge and attention you deserve.